Dear Maya, It's June 25, 2032 and it's your 18th birthday. I don't have anything profound to give you except for this thumb drive about an unusual man. 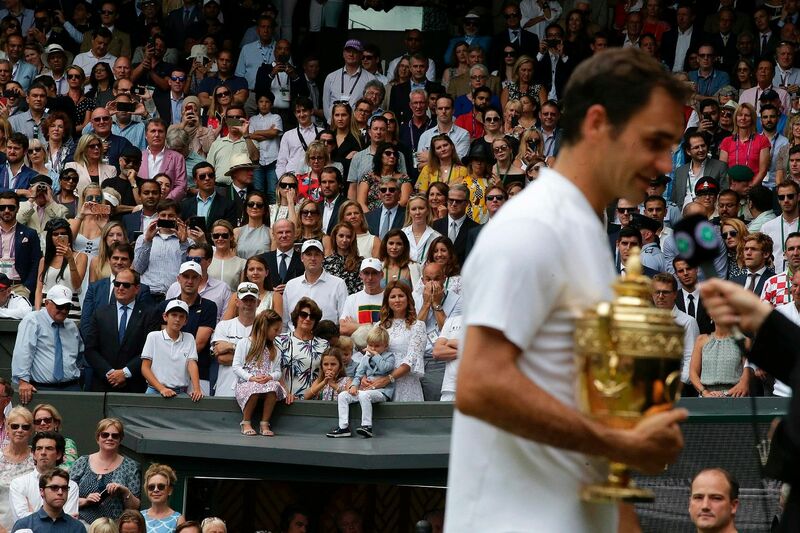 Roger Federer didn't fight for peace or solve world hunger, but he did what most could not. In an era of athletic conceit and inflated skill, he lived for roughly 20 years at the unique intersection of art, accomplishment and decency. On the move and at standstill he found balance as a human and I wonder if your generation has such a person. The thumb drive contains a compilation of his Grand Slam titles and please don't toss it away in the box that has your mother's romance novels. It's better than that. I'm writing this letter on July 17th, 2017, the day after Federer won his 19th Grand Slam title at Wimbledon. He played a lovely and lofty Croat called Marin Cilic, who wore Fila, had a beard but all resemblances to Borg ended there. You don't know Borg? Sigh, never mind. You were three in 2017 and your hero was Gamora, a Marvel Comics character who Wikipedia noted was able "to paralyse .... opponents using vital point strikes directed at certain nerve clusters". Sounds a bit like Federer, who your dad and I often spoke about to you. We were arming you for future playground debates. Anyone asks about The Greatest Athlete Ever and you were tutored to say Ali and Federer. Of course, you never listened. Who was Federer? Different things to different people. Your great-grandmother used to think he was Rudolf Nureyev using the court for a ballet performance. Some saw him as a crybaby. Others thought his DNA ought to be checked for anti-ageing properties. Some said with forehand and in behaviour he was a Swiss finishing school. Sorry, that's a grandpa-quality joke. Federer had weaknesses, you need to know that. In Wimbledon 2017 he kept using the word "normal" about himself. It was a lie. He was not. He did a lot of things better than most people. He had two sets of twins, which is almost showing off. I don't know who you look up to now - a singer, thinker, writer - but I hope it's someone like Federer. 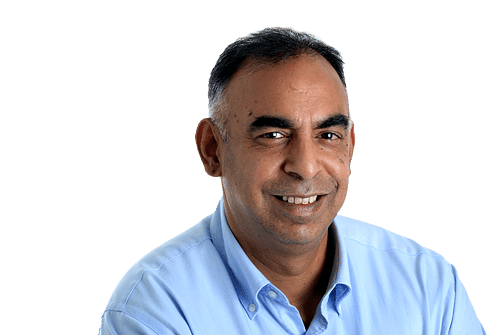 In this fortnight that he won Wimbledon, two pugilists - Floyd Mayweather Jr and Conor McGregor; no need to look them up - behaved so abominably, using gay slurs and racial epithets, that I was particularly grateful for this man. He wore fame as easily as a lightweight jacket. When he won his eighth Wimbledon and surpassed another legend, Pete Sampras, he said "that's strange for me because Pete was my hero". He was generous even to journalists - very good plan, remember that - and casually fed us lines: He told us his three-year-old twin boys probably thought Centre Court was just a nice playground, knowing that we'd all write, "Yeah, daddy's playground". He offered his peers little mercy but always respect and if you do that you'll find people will respond to you. Players would be dissected by him and yet not flinch from praising him. Tomas Berdych, a tall Czech who fells trees in his spare time, was asked what it was like to play Federer and smiled and replied: "Well, I don't know how much detail you want to go." He composed shots which seemed like they'd never been considered before. Or played shots that looked better than anyone else could play them. And when he did, a strange beatific smile would spread over the faces of fans, as if they had received what they had arrived for. The joyous and the miraculous. I admire craft. The way Arundhati Roy - read her - constructs a sentence and Philip Seymour Hoffman - watch old movies of his - worked a scene and gymnasts flip on a balance beam. Federer had that aptitude and that effect on people. He played tennis as if he was celebrating sport. Honouring it by raising it. As a young woman you probably haven't felt the weight of age, but it will come. People will say you're too young for this and too old for that. Tell them to go to hell. Tell them about Federer at 35. Tell them how he stretched time and limits. Tell them in sport, after a certain stage, you're not supposed to get better, not supposed to fix your backhand, not supposed to move like a speed skater without sweat glands. He did. There's a lesson here, kid. Make your own rules. Treat your body carefully. Think long-term (Federer was careful with his scheduling for years). Listen to your instinct. Have faith. Always have faith. Federer rested for six months in 2016 and began 2017 by beating the world No. 5, No. 4 and No. 9 in five sets in Australia; he took April off and May and part of June in 2017 and won Wimbledon in July. The Polish poet Stanislaw Jerzy Lec knew about such men for he once wrote: "Youth is the gift of nature, but age is a work of art." Do you like sport? Have you found someone to make it meaningful? I hope so. Nevertheless, since it's June 2032, do you mind checking the Wimbledon draw. Trace your finger down the Gentlemen's Singles. Look for R. Federer. He'll be 50. But you never know.